Cool Air. Crisp Leaves. Bon Fires. Apples. Pumpkins. Hoodies. I love all things fall! It is my favorite season of the year. It’s when we get to pumpkin spice all the things. And do fun Fall crafts and projects! I always like to involve my kids. I have future crafters and project doers I have to raise here. They love to help and create their own little masterpieces. I scoured the net and came up with 11 Fall Crafts we are going to do this year. I created a list for you too! 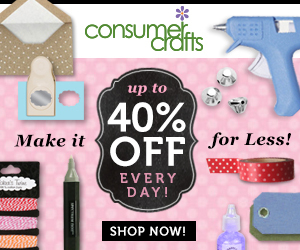 Take a look and join us on our crafting adventures. Because Pumpkin Spice. This is quick, easy, and fun plus your lips will love you. I can just see the fun we will have collecting the leaves on a Fall Hike. And what a great way to preserve those leaves to enjoy them all season. Painting Mason Jars will be a fun craft for older kids. And you will have cute décor for years to come! Win-Win! Painting is always fun for kids of all ages (grown-ups too!) And this is a fun craft that even toddlers can do well. I think these Fall Trees would look great framed for the season, don’t you? How stinking cute it this? We must make one. Another great one for older kids and adults that you can enjoy for years. I need these on my Mantle. Your younger kids will love this one! We have done this type of Yarn Crafts before and they are always a big hit! I Love sun catchers and these look fun to make! These Turkey Windsocks are Adorable! I can’t wait to have them hanging from my porch. And this is another great craft that with a little help from an adult, little kids can make. There it is, the 10 Fall Crafts I will be doing with my kids this month. How about you, tell us your favorites below!